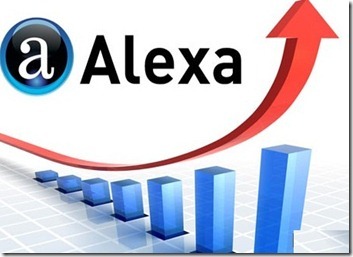 Alexa collects traffic data on a daily basis from millions of users who have installed the Alexa Tool bar and other sources, and then uses a complex mathematical formula on three months' worth of data to arrive at the ranking for each site. Founded in 1996, Alexa is a California-based subsidiary company of Amazon.com (acquired by Amazon in 1999) that specializes in providing commercial web traffic data gathered via various toolbars and web browser extensions. Some of Alexa’s most notable previous activities include providing a database that served as the basis for the creation of the Wayback Machine and the creation of various search facilities (now largely discontinued). However, the thing they’re probably best known for is, of course, their ‘Alexa Rank’ – a metric that ranks websites in order of popularity or ‘how [well] a website is doing’ over the last 3 months. How are Alexa Ranks measured? According to the official Alexa website’s Our Data page, the rank is calculated using a ‘combination’ of the estimated average daily unique visitors to the site and the estimated number of pageviews on the site over the past 3 months – with the site with the highest combination of unique visitors and pageviews being ranked as #1. The data is collected from a subset of internet users using one of 25,000 browser extensions for either Google Chrome, Firefox, and/or Internet Explorer. An algorithm then ‘corrects’ for various potential biases and attempts to compensate for visitors who might not be in Alexa’s measurement panel (a factor it historically hasn’t always tried to accommodate for) and normalizes the data based on the geographical location of visitors. For most site owners, ‘how a website is doing’ is of course very important, however, when assessing your own website my advice would be to simply stick with Google Analytics data rather than to go attributing any significant meaning to your site’s Alexa Rank. When looking at competitor’s sites however, by all means take a quick peek at their Alexa Rank for a very rough idea of how popular their website is relative to yours (assuming the same kinds of people visit both sites – thereby hopefully minimizing some of the biases brought about by the significantly-less-than-perfect way in which Alexa gather their data); however we definitely wouldn’t go thinking a particular website gets more traffic than another merely on the basis that its Alexa Rank happens to be only a few thousand lower – and if the website you’re interested in happens to have a rank of anything even near the aforementioned 100,000 mark, it’s probably best not to go attributing any significant meaning to comparing Alexa Ranks at all! Alexa’s Traffic Ranks are based on the traffic data provided by users in Alexa’s global data panel over a rolling 3 month period. Traffic Ranks are updated daily. A site’s ranking is based on a combined measure of Unique Visitors and Pageviews. Unique Visitors are determined by the number of unique Alexa users who visit a site on a given day. Page views are the total number of Alexa user URL requests for a site. However, multiple requests for the same URL on the same day by the same user are counted as a single Pageview. The site with the highest combination of unique visitors and pageviews is ranked #1. Additionally, we employ data normalization to correct for biases that may occur in our data. Alexa’s Traffic Ranks are for top level domains only (e.g., domain.com). We do not provide separate rankings for subpages within a domain (e.g., http://www.domain.com/subpage.html ) or subdomains (e.g., subdomain.domain.com) unless we are able to automatically identify them as personal home pages or blogs, like those hosted on sites like Blogger (blogspot.com). If a site is identified as a personal home page or blog, it will have its own Traffic Rank, separate from its host domain. How to Display Alexa rank on your Website?